Visit to the Chocolate Museum of Factory "Laima"
The sweetest museum in Riga has opened its doors in January 2014! 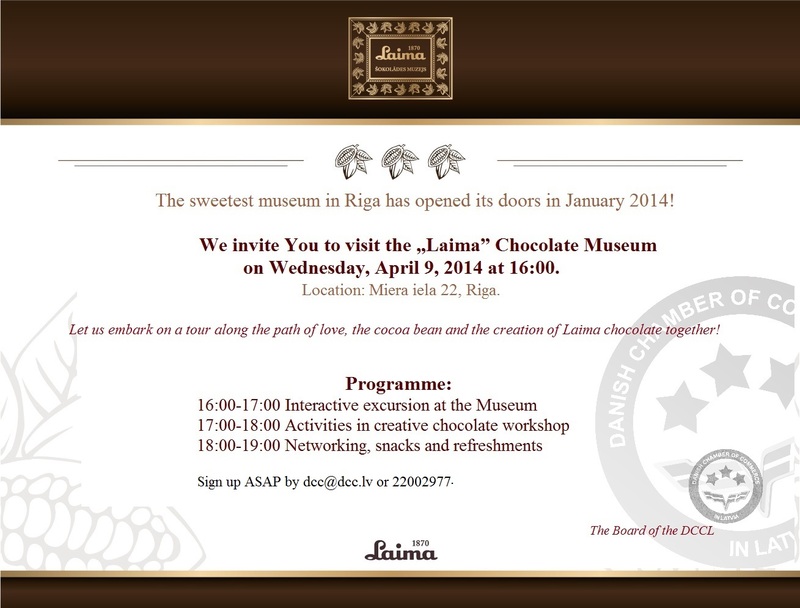 The members of the DCCL are invited to visit the "Laima" Chocolate Museum on April 09, 2014 at 16:00. The program includes an interactive tour through the museum, exciting activities at hte creative chocolate workshop and, of course, networking and snacks/refreshments. The invitation here. The participation for the DCCL members is free of charge according to the benefits list.